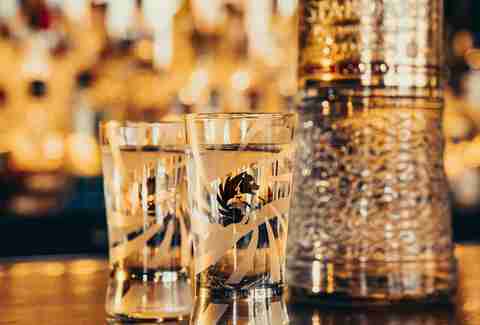 Newsflash: unless you're in some kind of bottle service situation and have no choice, spending top dollar on top-shelf vodka is frequently unnecessary (especially if you plan on mixing it with cranberry juice or soda water or … Gatorade? Hey, whatever it's your drink!). That said, bottom-shelf vodkas can sometimes leave you wondering if you just swigged lighter fluid due to a burning sensation in the back of your throat. And that's before the vicious hangover. Luckily, there is a happy medium. A distilling boom has lead to tons of distilleries popping up all over the country and world, many of which are making amazing wallet-friendly vodkas -- and some don't even have that many calories! 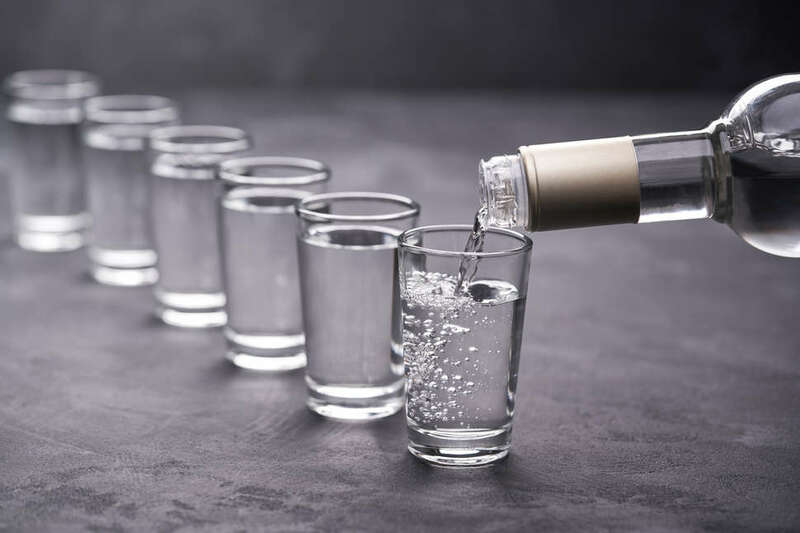 Instead of shelling out your whole paycheck for a single bottle, try one of these 13 reasonably priced vodkas that don’t taste anything like rubbing alcohol. Actually, they’re delicious and approved by bartenders, industry pros, and our editors alike. Born in Austin, TX (but now widely available in all 50 states), Deep Eddy Vodka is distilled in small batches using the highest quality ingredients and a 99% waste-free production process. 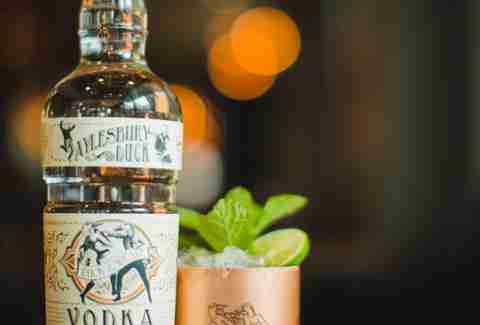 In 2018, their Original vodka became the fastest-growing super-premium vodka in the US “Deep Eddy Original, is great to use in cocktails,” says Laurie Harvey, Houston-based mixologist and author of Ladies of Libation. “Its silky texture complements, rather than competes with, flavors in other ingredients, whether that’s fruity, spicy, floral, or citrus.” Plus, their all-natural flavored vodkas are seriously refreshing enough to drink straight, since there’s zero chemical-ish aftertaste -- the lineup includes Ruby Red, Lemon, Peach, Sweet Tea, Cranberry, and Orange. 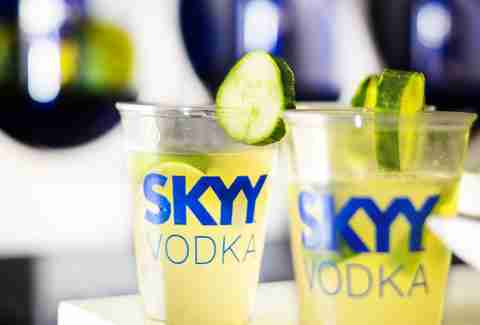 Instantly recognizable in its bright blue bottle, Skyy was one of the first vodkas made from American grains and water, then quadruple distilled and triple filtered -- and it has remained unchanged for 20 years, since it’s always been that good. By removing all the liquid’s impurities in their revolutionary process, the final product showcases a smooth, creamy mouthfeel and crisp flavor that won’t make you cringe. The Polish folks love their vodka more than Kanye loves Kanye -- so even a budget brand from Poland has got to be good. A behind-the-bar favorite, this 100% rye vodka has more going for it than just its price. 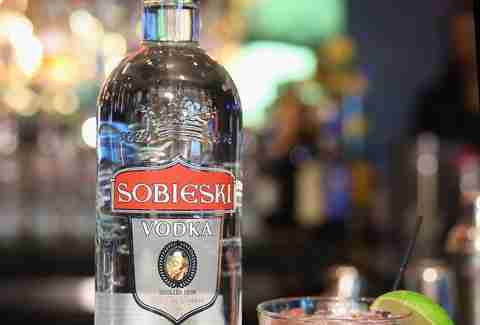 “Sobieski has a clean but rich taste and a good mouthfeel and can stand up to some of its more high-priced competitors,” says Erik Delanoy, bar manager at The Wilson in NYC. It goes down miraculously smooth as a shooter or in a screwdriver (especially when chilled). Sobieski’s portfolio also contains a long list of flavored vodkas made from real fruit juice and a few vodka-based liquors. 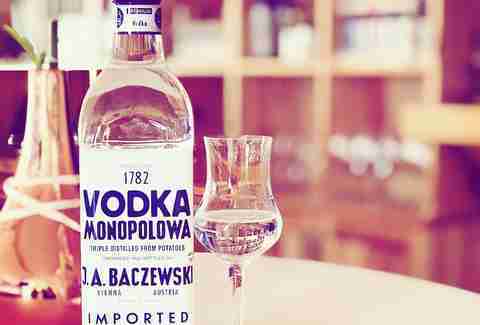 If you haven’t yet heard of this totally drinkable vodka from Sweden, then you’re welcome in advance. 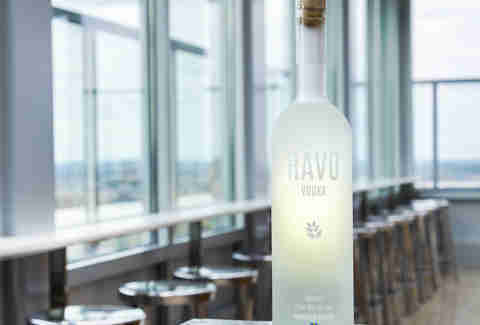 The name “Råvo” is derived from two Swedish words that mean “raw” and “vodka”, paying tribute to the fact it’s made from all-natural winter wheat, is blended with clear spring water, and distilled five times for incredible smoothness. “Råvo Vodka is one of my go-tos, whether drinking it out of the freezer or making cocktails with it,” says Dan Dao, NYC-based bartender and spirits writer. “It's smooth as good vodka should be, but it also has a faint zest and sweetness that makes it go down easier. With wheat-based spirits, you can often expect notes of spice like cinnamon as well.” Added perk: its chic bottle design looks fancy enough to display on your bar cart. Another vodka produced in Austin, TX, Tito's is microdistilled six times in just 10 old-fashioned pot stills, and made from yellow corn instead of potatoes or wheat (which also makes it gluten-free). “The corn is what gives it its mildly sweet aftertaste,” says Ray Anguiano, head bartender at Atwood Restaurant in Chicago. 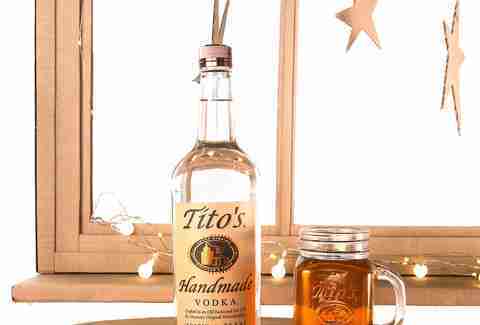 Tito’s has been an award-winner since 2001, when it won the Double Gold Medal for vodka at the San Francisco World Spirits Competition, beating out 71 of its high-priced competitors and received a four-star ranking from Spirit Journal; in 2007, it won four stars again. 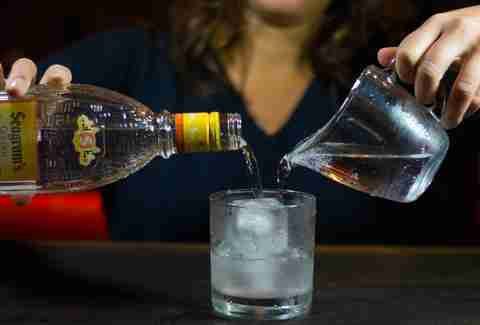 Today, it’s garnered a cult following and has become the vodka of choice for many consumers. "New Amsterdam vodka is distilled five times and filtered three times, which makes for a very clean and neutral base for a cocktail,” says Delanoy. So whether you’re looking to craft an impressive nightcap for your Tinder date or drink vodka on the rocks because your Tinder date was terrible, you won’t believe how smooth and versatile it is for the price point -- which is why the brand has garnered such industry recognition and high consumer accolades over the past five years. Speaking of versatility, go ’head and add all nine New Amsterdam fruity flavors to your mixing repetrior, too. This Canadian grain-based spirit is expressive, aromatic, and doesn't exhibit the sharp edges of some other vodkas; all the while, it still maintains the base concept of what a well vodka's meant to be: a flavorless and odorless vehicle for your workhorse cocktail. "It hovers right around $20 a bottle, so it doesn't break the bank," says Nick Bennett, bartender at Porchlight in New York City. This English handcrafted vodka is made with wheat and has been quadruple-distilled and filtered. The final liquid showcases a clean aroma and taste, making it truly an all-purpose spirit; but with a name like Three Olives, their original flavor it’s pretty much begging you to shake up a dirty martini. 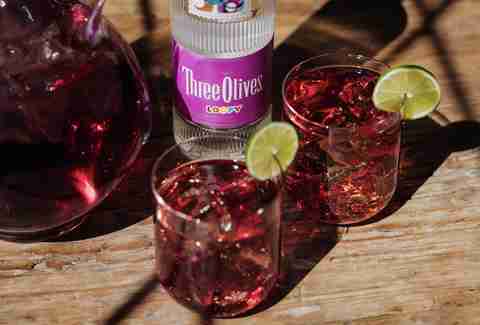 That said, “Three Olives is really known for their line of flavors,” says Delanoy. “So for the person who's looking to make drinks at home and doesn't know enough about cocktails to get creative with ingredients, picking your favorite flavor from the Three Olives line can really provide you with more options for a delicious drink with minimal effort." This French vodka brand experienced a surge in popularity in 2011 when Pinnacle Whipped hit shelves, but this consumer-friendly spirit is actually pretty serious stuff. Pinnacle is made with French spring water that’s naturally filtered through limestone, then is distilled five times for utter smoothness. 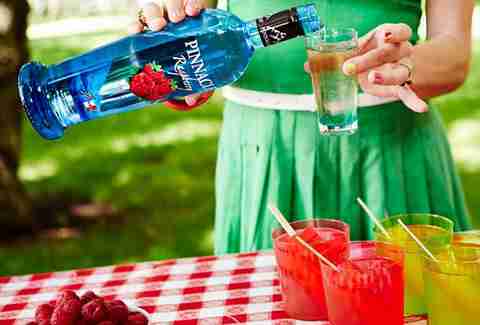 Even at the budget-friendly price of $15, Pinnacle has won more awards than any other French vodka. "Pinnacle is smooth," says Billy Fabel, senior bartender at FireLake Grill House & Cocktail Bar in Minneapolis. "You are able to drink it neat with no burn. It comes in many different flavors and is very mixable." "There are only a few readily available potato vodkas on the market, so it's a unique experience compared to the majority of vodkas out there," says Nate Wales, director of operations at New Waterloo and Cocktail World Cup champion, who oversees the bar program at Central Standard in Austin, TX. "The label makes you feel like you're drinking some generic state-owned hooch, but it's actually really tasty." The potato starch gives it some weight and a creamy mouthfeel, and "it has a body and finish that many of the frosted-bottle, 'distilled X times' brands lack." This corn-based spirit undergoes a proprietary triple-filtration process (it’s distilled six times), which enhances the taste of the vodka and results in a smooth, clean taste. "I was instantly surprised by the quality of the vodka in relation to its affordability," says Cody Goldstein, head bartender at Upholstery Store: Food & Wine in NYC. "The straight flavor is smooth enough to sip on the rocks, and the berry and citrus expressions aren't cloyingly sweet." Let the love affair commence. Brooke Sager is a contributing writer for Thrillist who can single-handedly take credit for the consumer rise of Pinnacle Whipped in 2011; additionally, a cocktail of Deep Eddy Ruby Red, seltzer, and lime is called “The Brooke” at a bar in Ocean City, NJ. Follow her boozy adventures on Instagram and Twitter.